WELSH businessman Stuart Barrow was invited to present a prestigious social care award at a ceremony at the House of Lords recently on July 13th. 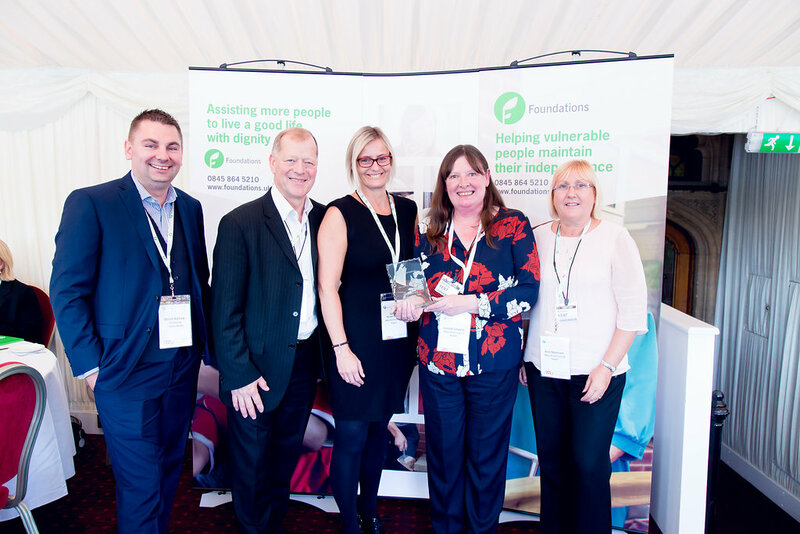 Stuart, who is managing director of private occupational therapy company Promoting Independence, presented the Handyperson Service of the Year Award at the Foundations 2016 award ceremony hosted by Lord Richard Best. Foundations is the national organisation for home improvement agencies across the UK and it seeks to share best practice and excellence, build a network of trusted agencies and encourage the ethos of dignity and respect in its sector. Manchester Care & Repair won the award in recognition of completing 7,000 jobs last year for people living in the city and having a 99 per cent satisfaction record. The judges were impressed by the way the team have an ethos of ‘making every visit count’. They not only carried out the repair required but also offered advice and help by looking at the overall environment of the person receiving the service. Steve Nicholson has been a handyperson for the team for ten years and took the role after a long career in the fire service. At the event Lord Best called for increased flexibility for people receiving services in their own homes as funding for HIAs (Home Improvement Agencies) is increased over the coming years. Promoting Independence, based in the Vale of Glamorgan, near Cardiff, is a provider of occupational therapy services to residential and commercial clients across the UK. It offers bespoke occupational therapy consultancy to manufacturers and suppliers of goods to the disabled; OT assessments and recommendations to individuals, businesses or organisations.